All applicants are eligible for the $5,000 OVERALL STUDENT SCHOLARSHIP or the $3,000 GRADUATE or UNDERGRADUATE SCHOLARSHIP. The San Francisco/Northern California Chapter of The National Academy of Television Arts and Sciences (NATAS) is offering two new scholarships in 2018. Now a total of $21,000 in scholarship funding is available. Each applicant may receive only one scholarship. The new $5,000 Louise Jorjorian Memorial Scholarship awards the best overall graduate or undergraduate student. All entrants will be considered for this top award. The new $2,000 Linda Giannecchini Professional Development Scholarship is designed for applicants who already work in the TV industry and are in pursuit of a formal undergraduate or graduate degree. Our chapter will continue to award the outstanding graduate and undergraduate entries $3,000 in memory of legendary KGO anchors Jerry Jensen and Steve Davis. There are three $2,000 undergraduate student scholarships in television production, reporting and videography. Graduate students may apply for the $2,000 graduate student scholarship for work in production, reporting and videography. The Chapter awards these scholarships to encourage students who demonstrate leadership and talent in advancing the artistic, cultural, educational, and technical qualities of television. Scholarship checks will be presented at the annual Gold & Silver Circle Induction Luncheon. Recipients will be notified prior to the luncheon. Jerry Jensen anchored News Scene 7 on KGO with Van Amburg for more than ten years until his death on March 26,1984. Jerry died of pancreatic cancer at the age of 49. Jensen joined KGO-TV in 1969 as the weekend anchor. Prior to channel 7, he anchored at KBHK and KRON. Jerry was awarded the NATAS Governors’ Citation in 1968. Steve Davis was a anchor/reporter for KGO-TV news for more than 20 years in the ‘70 and ‘80s. He covered major events from Patty Hearst to Jim Jones and anchored the 5 p.m. News. Davis was let go in 1989 but won an age discrimination suit against ABC in 1992. Davis died of cancer on March 18, 2005. Peter Marino was a stalwart member of the Chapter and co-founder of the Scholarship Program. He was well known for his public relation exploits, and as a music and video producer. Marino was a principle in a Bay Area recording studio and represented several recording companies. This scholarship covers a variety of production job disciplines. Multiple Emmy® award-winning television reporter Rigo Chacon and his wife, Lucy, offer a scholarship to an outstanding student who aspires in the field of television reporting. Now retired, Chacon worked at KGO-ABC7 for 29 years as a general assignment reporter and opened the first Santa Clara County bureau of a San Francisco-based TV station. Among his many honors, Chacon is a member of the Television Academy’s prestigious Silver Circle. The family and friends of Shelly Fay started a scholarship to an outstanding videographer. Shelly was a multitalented television professional who worked in the San Francisco Bay Area as a producer, photographer, director and editor for more than 25 years, mostly at KPIX-CBS5. Kenneth Sloat Langley was a founding member of the San Francisco/ Northern California Chapter, serving as our first Vice President and National Trustee, from 1961-63, and later as Program Chair in 1986. Professionally, Ken was Program Assistant at CBSTV from 1952-55, a producer, writer, director for KCBS Radio during the years 1957-60, and Director of TV and Radio for the Tuberculosis Association of California until his death. $2,000 “Miss Nancy” Besst, one of the founding members of the NATAS Northern California Chapter, started her career in Baltimore, MD as a staff teacher for Romper Room. Moving to San Francisco she became “Miss Nancy” on Romper Room from 1958-1969. She hosted many programs on KQED, KGO, KRON and KBHK. Nancy is a member of the SilverCircle, 1988, and has received the Governors’ Service Medallion, 1994; Governors’ Citation, 1996, and the Governors’ Award, 1998. $2,000 for a television professional working in one of our chapters markets and seeking a BA or MA degree. Linda Giannecchini is our most renowned local and national NATAS leader. She previously served as National Vice Chairman, Vice President, Secretary and Trustee. Locally, Linda is a past President and chaired the Awards, Scholarship and Speakers’ Bureau Committees. 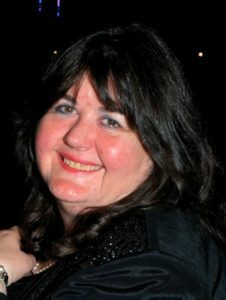 Linda currently serves as Co-Chair of the Media Museum of Northern California Consortium, and the Archives/Museum Committee. She’s an Emmy® award recipient, member of the Silver Circle, class of 1997, recipient of the 2011 Governor’s Award and 1990 Governors’ Service Medallion. • have at least one remaining year of undergraduate study for the undergraduate scholarships or one remaining year of graduate study for the graduate scholarship. Entrants may receive only one scholarship per year. Scholarship recipients are not eligible for a second scholarship in the year following their award. The Chapter Scholarship Committee sends application brochures to all eligible universities and colleges within the Chapter area. Submit application and support documents (Word or PDF) to scholarship@emmysf.tv by the deadline date. The Committee then screens the applications, reviews the video and essays to select the recipients. The successful applicants will receive their scholarships at the annual NATAS Gold and Silver Circle Induction Ceremony. Please specify which scholarship competition you are entering. Undergraduate students may apply for more than one scholarship, but you must submit a separate application form. The video entry must be specific to the category for which you are applying. Graduate students may apply only for the graduate scholarship. The applicant authorizes release of any information pertinent to this scholarship competition, including transcripts; and hereby grants NATAS permission to use portions of the winning entries for educational / promotional purposes. NOTE: The San Francisco/Northern California Chapter Scholarships are for college students only. High school students may also apply for the NATAS Chapter High School Student Awards of Excellence. Contact the NATAS office for more information at 650-341-7786. 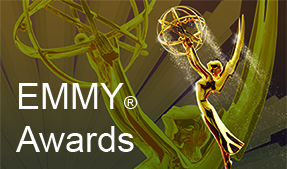 The TV Academy Fund is a 501(c )(3) nonprofit charitable organization.